MES-A open vented straight spout sink mixer to suit the SNU water heater. 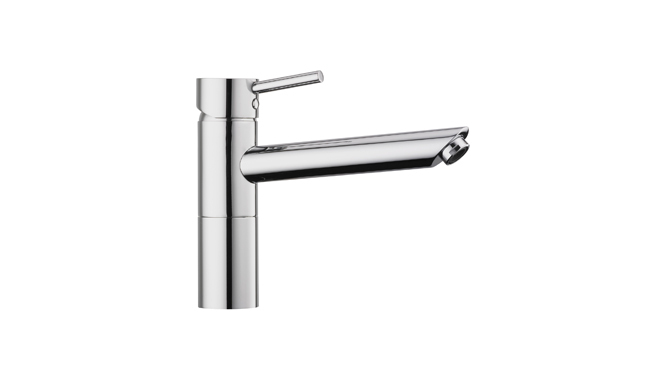 The MES-A straight spout single lever swivel sink mixer is suitable for use with STIEBEL ELTRON SNU 5 or the SNU 10 compact storage single point of use water heater. The open vented design of the SNU 5 and the SNU 10 requires one of the four styles of STIEBEL ELTRON taps to be fitted with the product. The MES-A sink mixer has a maximum flow rate of 8 litres per minute and has a 3 star WELS rating. 1. Can a flow straightener be fitted on the MES-A open vented sink mixer? No, only a STIEBEL ELTRON flow straightener can be used with this tap, non approved aerators are not be fitted to the MES-A sink mixer. 2. 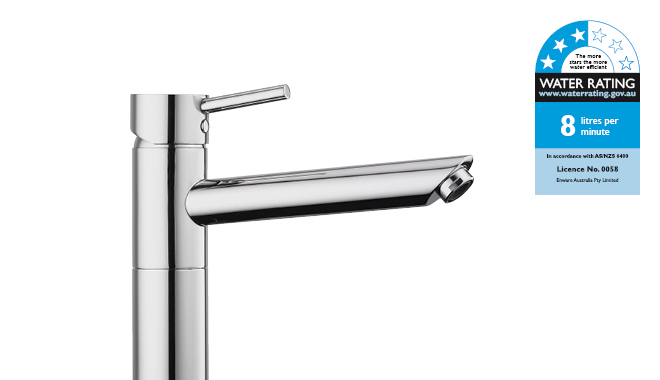 Can a water filter be fitted on the end of the spout of the MES-A sink mixer? 3. Can the cartridge be changed on the MES-A open vented sink mixer? Yes, a replacement cartridge is available for the MES-A sink mixer.